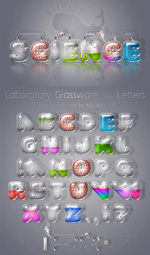 How to create "Glass style letter". 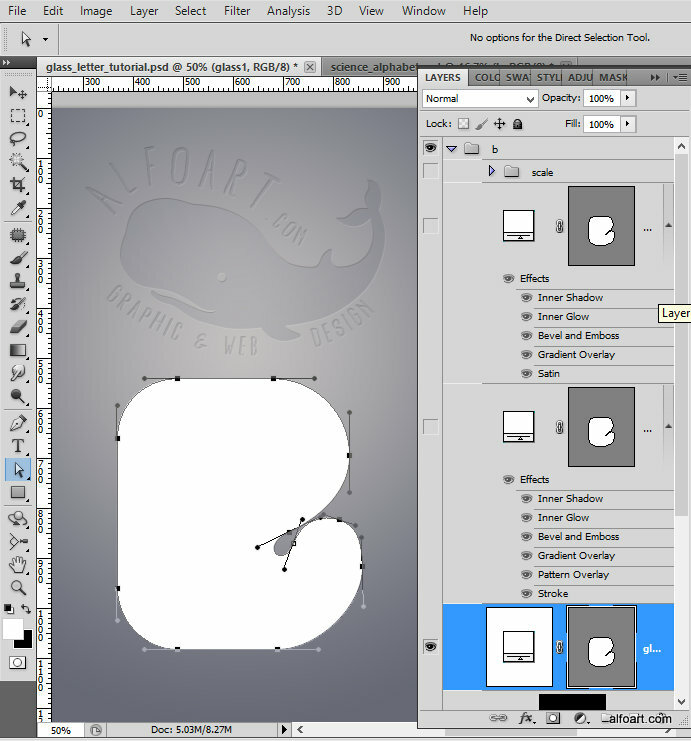 The letter "B" shape has a size around 500x550px and resolution of 300px/inch. 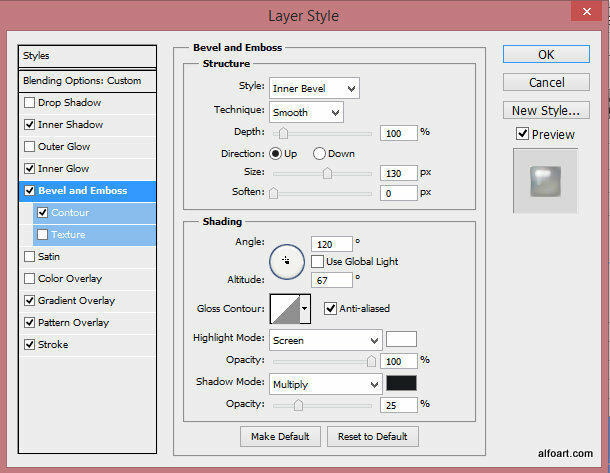 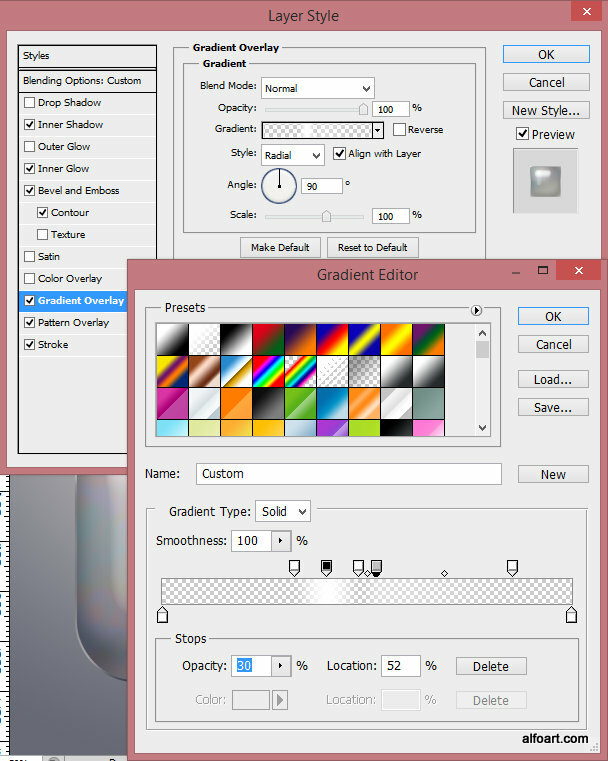 This may be important because of layer style effect settings for the glass texture and liquid effect adjustments. 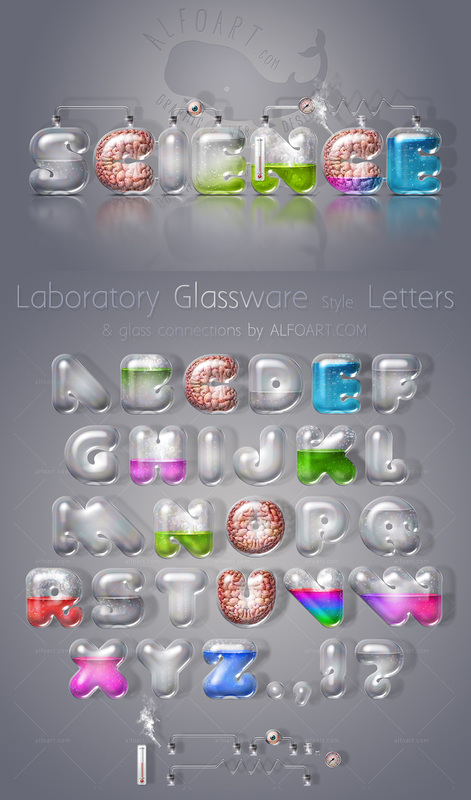 In order to create more realistic glass effect use round and bold fonts.  I've transformed "Val" font letter to " Shape Layer" and corrected letter silhouette to make it more spherical. 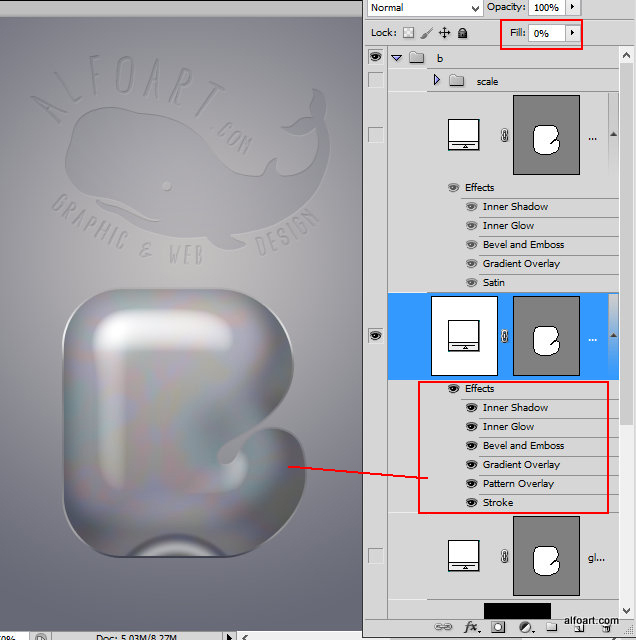 I didn't use actual fonts in this tutorial, only vector shapes. 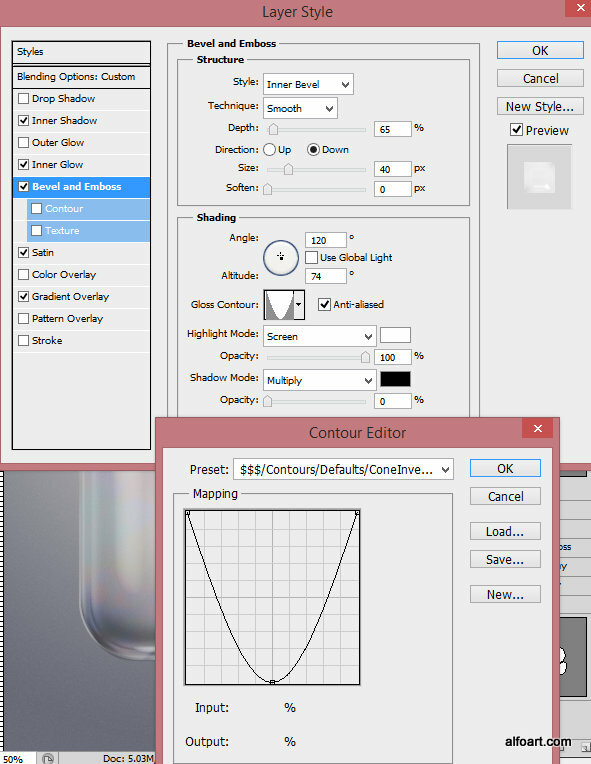 You may create your own shape with the Pen and Convert Point tools. 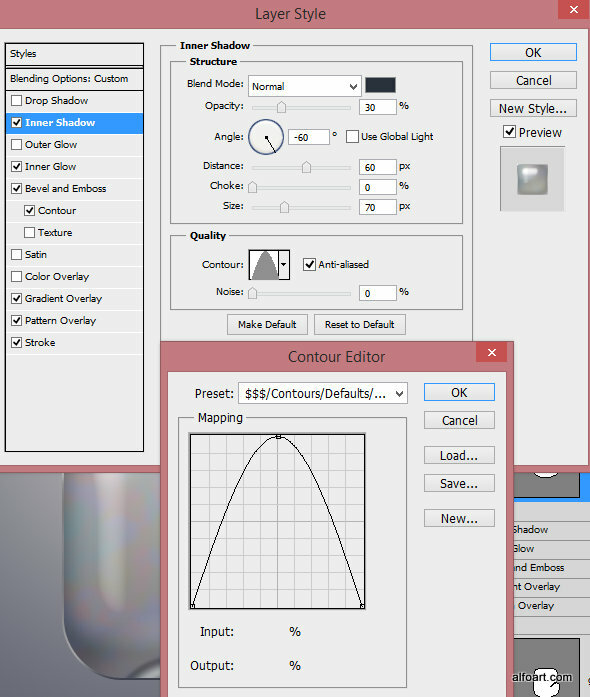 You need only two layers to create realistic glass effect. 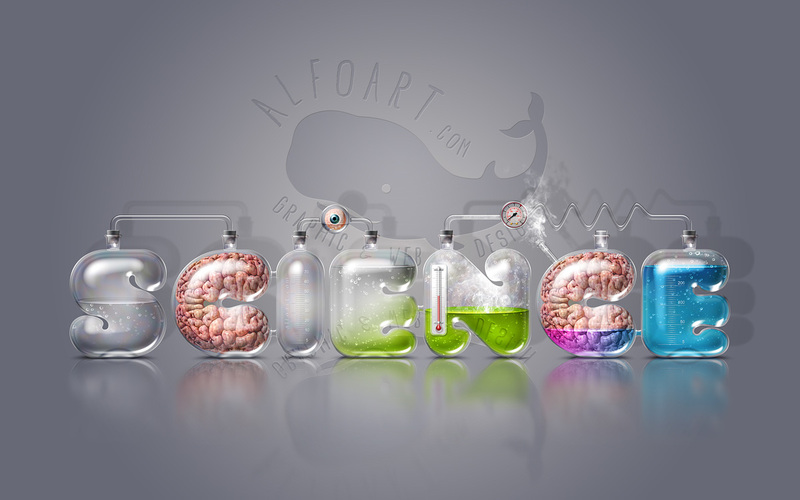 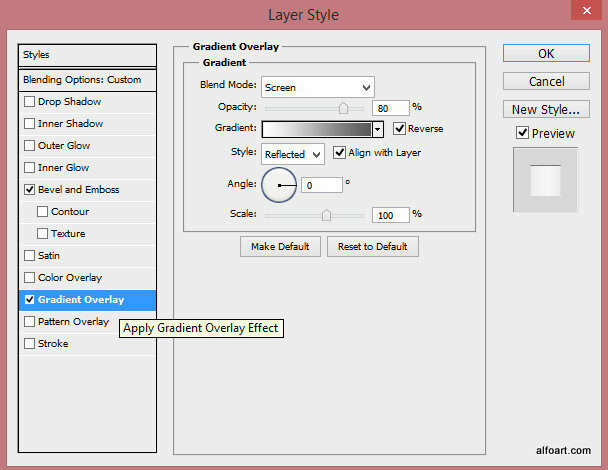 Apply Fill = 0% to the created letter shape and add layer style effects from screen shots below. 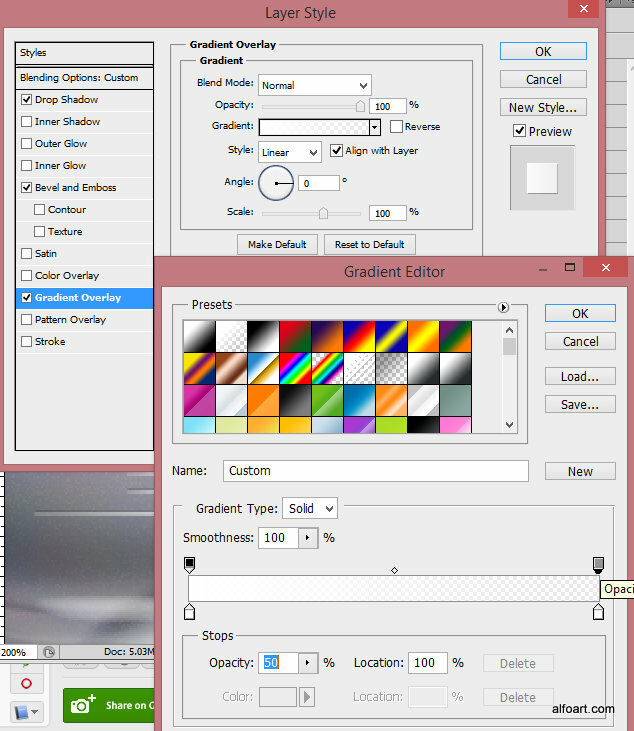 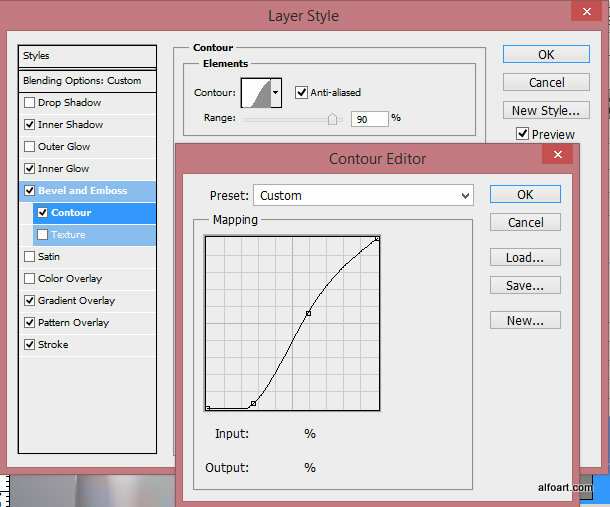 You may find Colors Codes, Contours, Gradients settings inside of the help file. 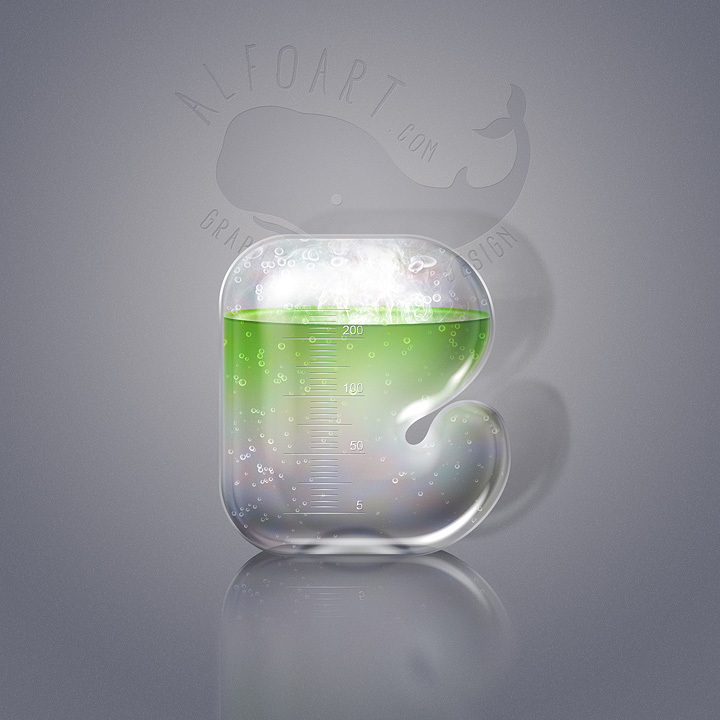 Use Radial Gradient in the bottom part of the shape to create "glass test tube" base effect. 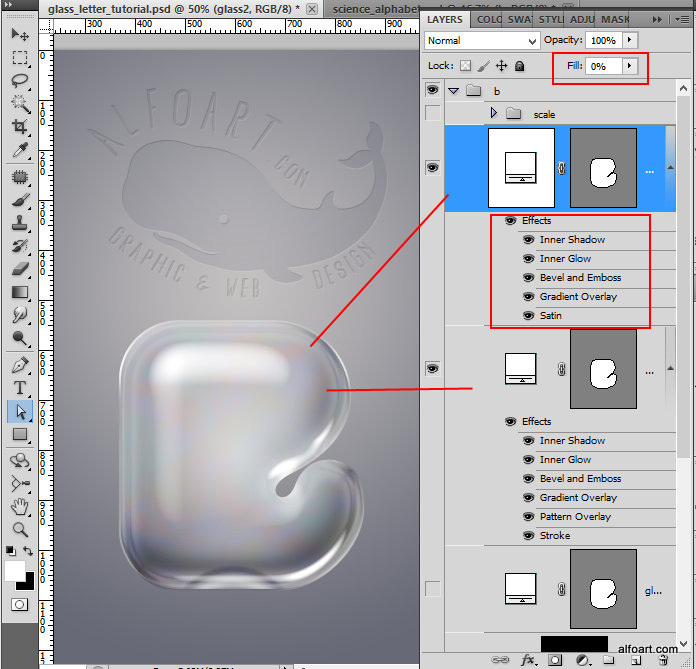 Use default Photoshop "Nebula" pattern to create hint of reflections on the glass surface. 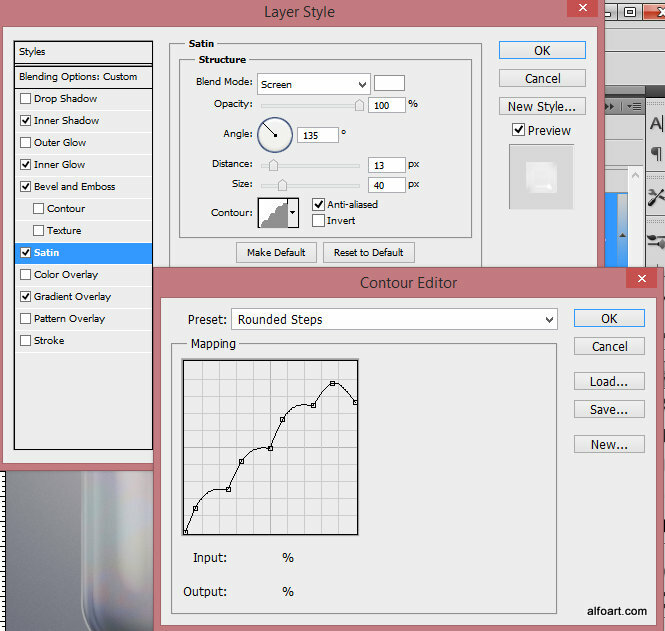 Scale texture to maximum1000%. 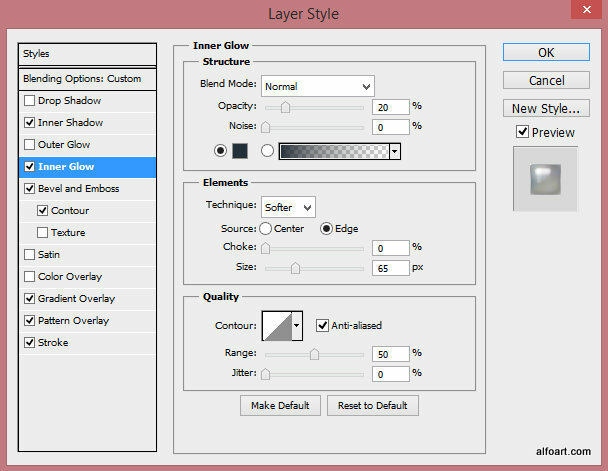 Apply new layer style effects to it. 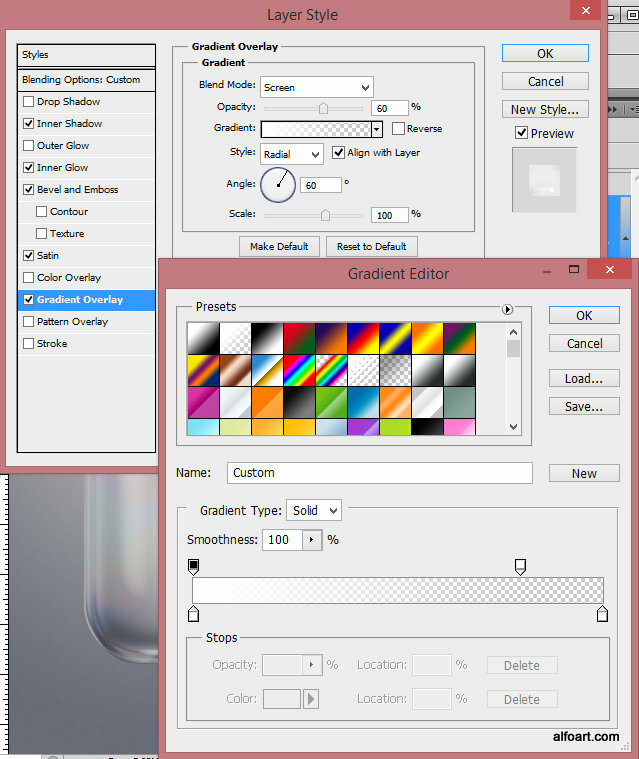 The glass style effect is done. 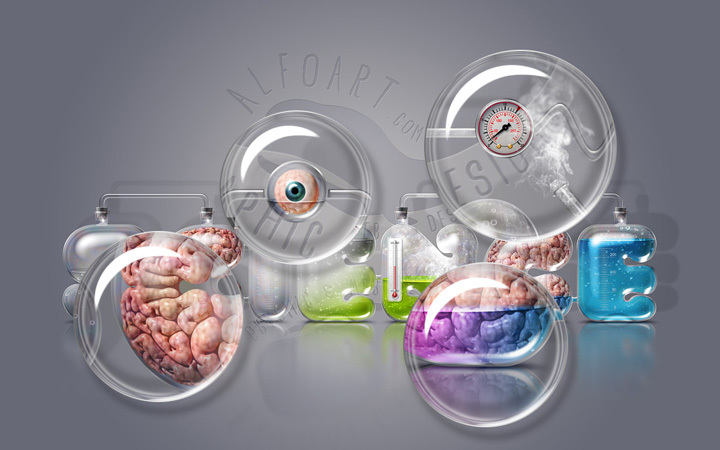 Now you may add more details to create chemistry, laboratory style glassware. 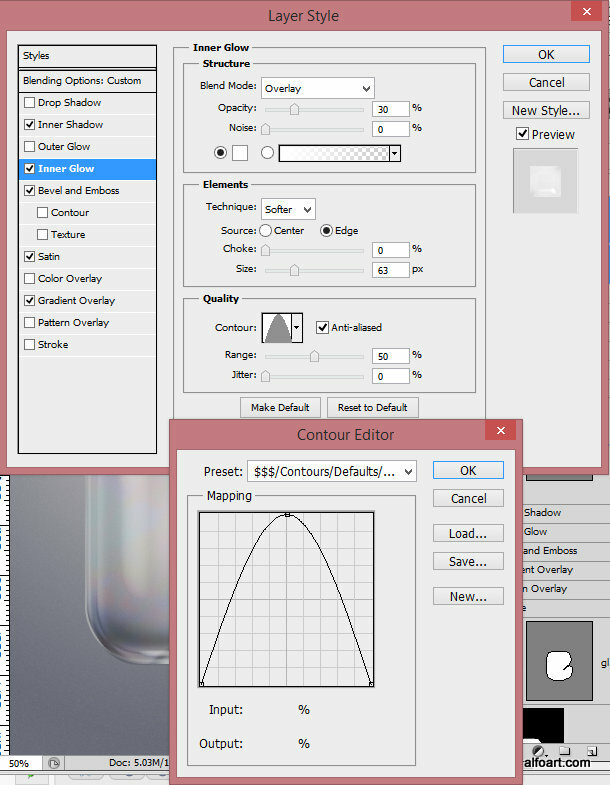 Let's add metric scale to the glass surface. 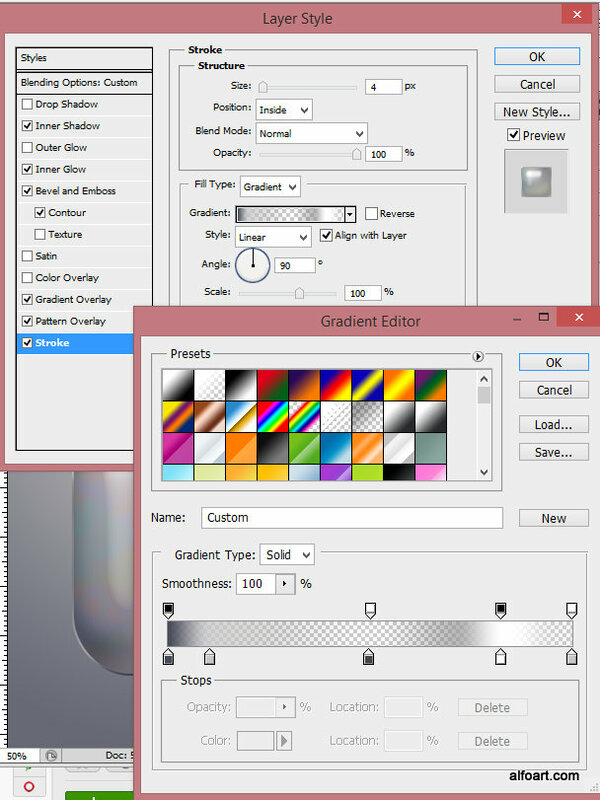 Choose "Line Tool". 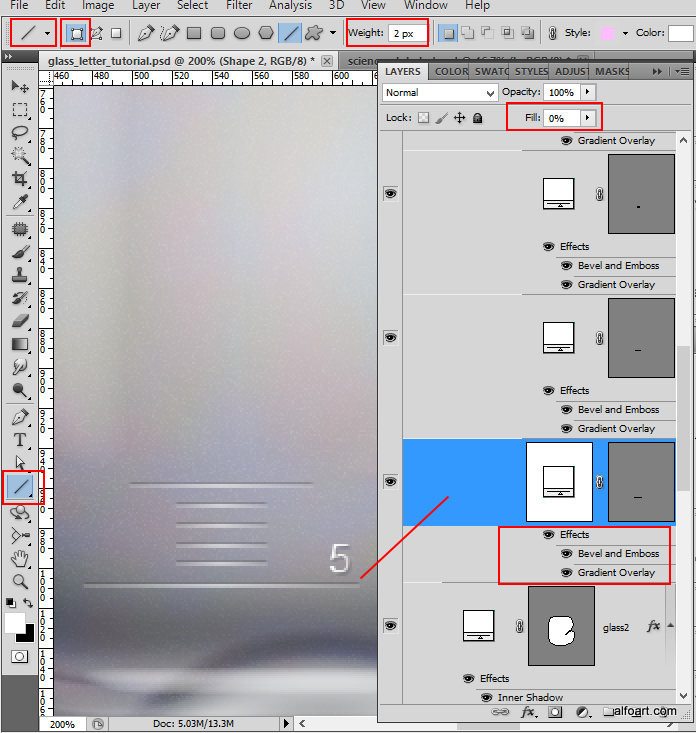 Create several 2px lines just like on the example below. 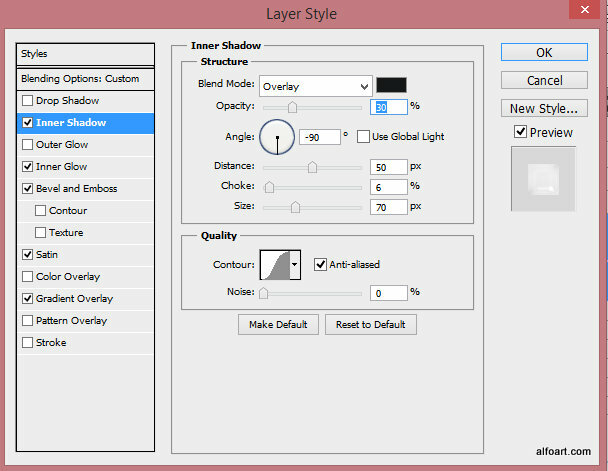 Apply following layer style effects to the lines. 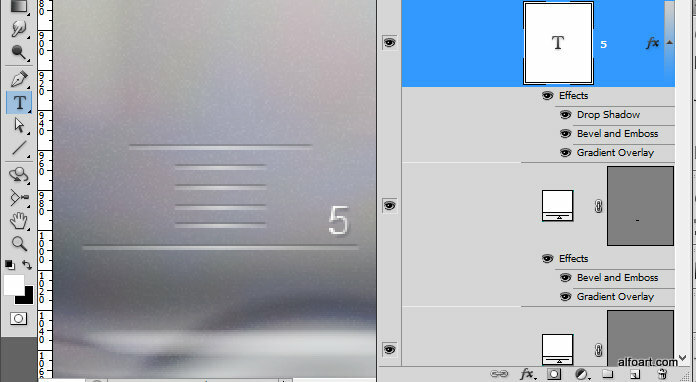 Type number next to the large line. 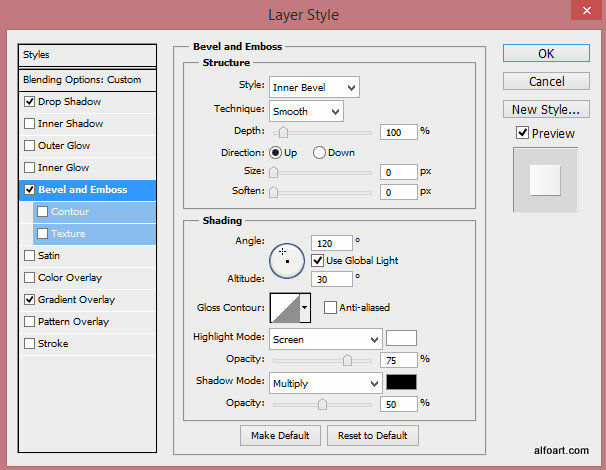 I've use regular "Arial" font. 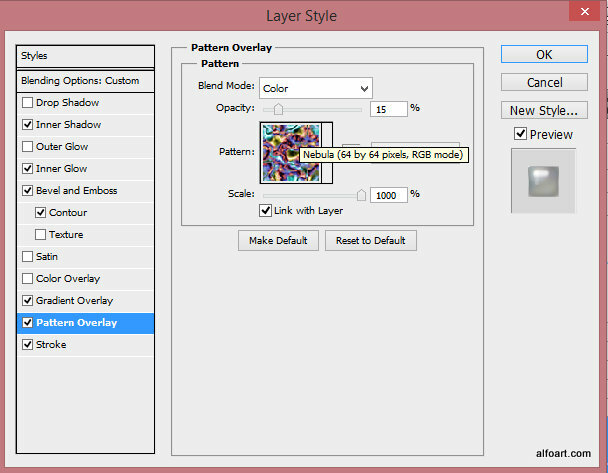 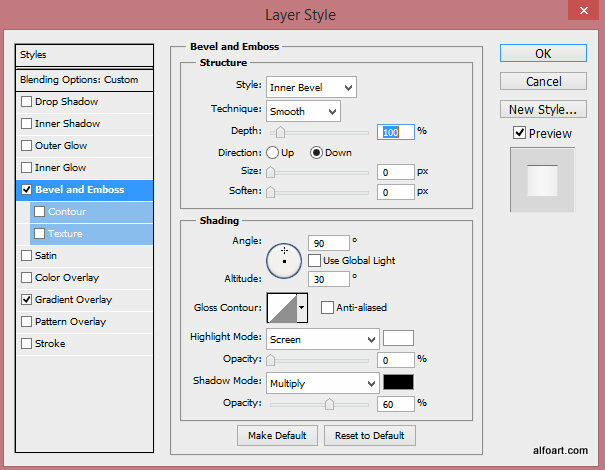 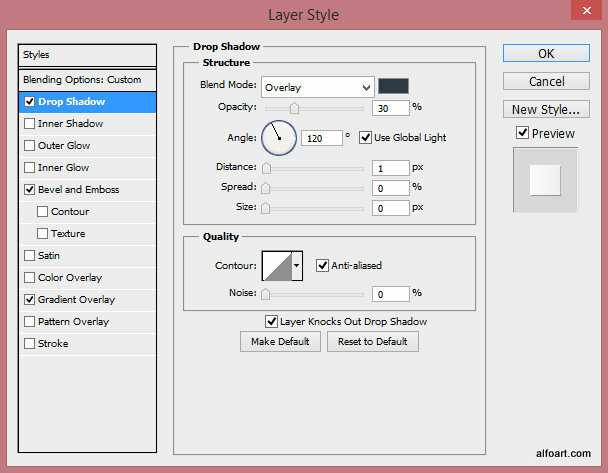 Add several layer style effect to the number layer.